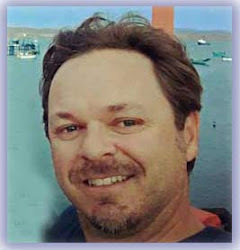 Captain Curran's sailing blog: How much solar power do i need for my boat? How much solar power do i need for my boat? 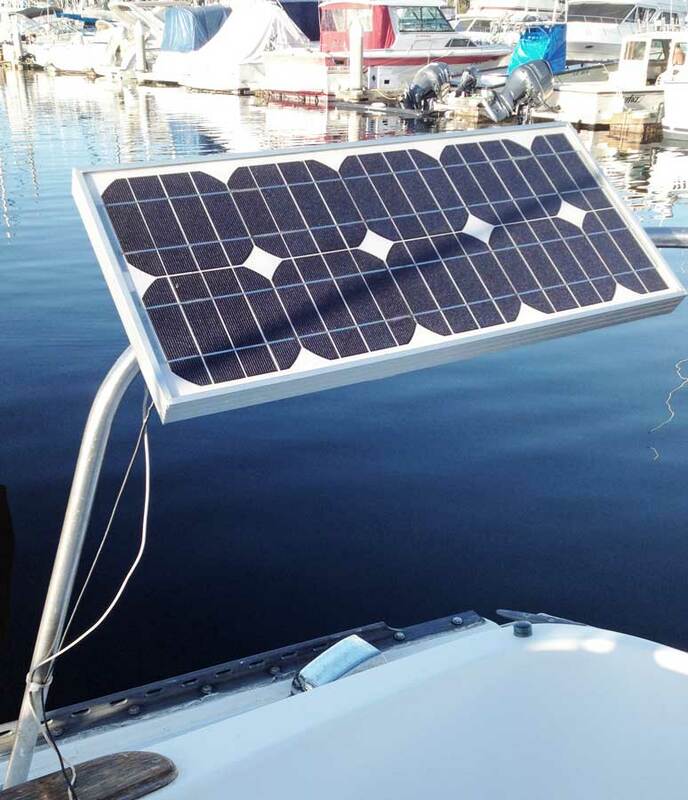 A common question among boaters contemplating solar panel installation, is 'How much solar power do I need for my boat'? This is an important question to ponder before planning your solar installation. First, you need to decide how much power you need, then you can easily decide how many solar panels you will need to install. You need to first have an accurate idea of your energy needs. This means, you need to think about what type of appliances/machines/devices you have running on an average week in your boat. This will give you an approximate number of watt hours that you need to generate with the solar panels. Once you have this number, you can decide which size panel is appropriate. Just to be clear, the below example is based on energy needs for a normal week on your boat. I like to think in terms of average energy needs per week, because this smooths out any irregular days. 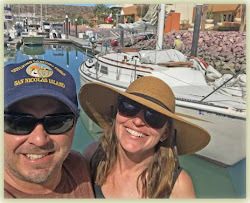 How much solar do I need for my sailboat? 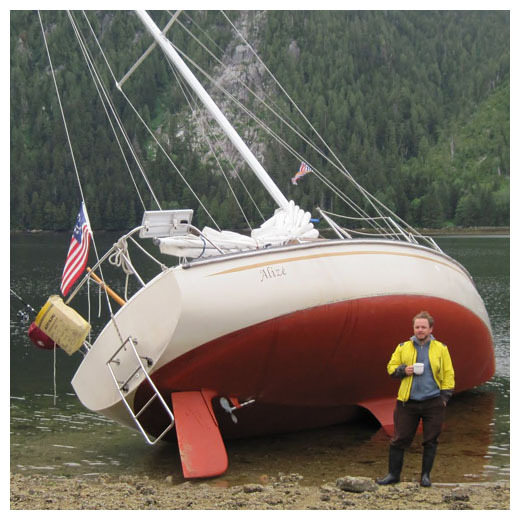 In the past, I had a small sailboat and I had relatively low energy demands. The first panel I installed was a 30 watt panel. 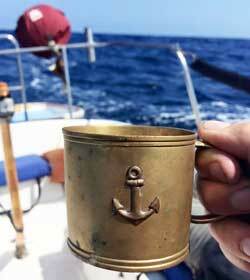 Let's say I was out sailing and anchoring for a week around Catalina Island. While on anchor (engine off) I was running some house lights (LED and a few regular incandescent), the stereo, depth-finder, my VHF and a LED anchor light when sleeping. For these minimal watt hour draws, the 30 watt solar panel was plenty to keep my batteries topped off. When the batteries are topped off, I had enough juice in the starter battery to turn over my diesel in the morning. But, most folks are fond of the 100 watt panel. In general a 100 watt panel will be sufficient to supply 3 times the watt hours (amperage draw) that I described above. 100 x 7 x 5 = 3,500 watt hours. It should be noted that a yearly average of 5 hours/day of sun hitting the solar panel is what I experience in San Diego, CA. If you are moored in other places (Seattle) you will want to bump that number down a bit. Okay - so let's say a 100 watt panel can supply 3,500 watt hours per week. Now, what sort of appliances/devices can we use in a week and not exceed 3,500 watt hours. Well, for almost all devices you should be able to find the wattage value written on the product or on the box somewhere. 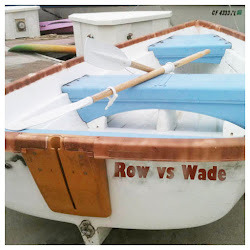 Here's a list of some classic boat devices and their approximate watt draw per week. Therefore, the above energy scenario would be ideal for a boater to install a 100 watt panel. We already know this is an appropriate sized panel because, on average, a 100 watt panel will supply 3,500 watt hours/week. In summary, if the devices and hours used in the above list seem to be in line with your energy budget, then go with a single 100 watt solar panel. If you think you will need twice the power of the above energy budget, then install 2 separate 100 watt panels. I just took an informal poll from my boater and RV camper friends. I asked what they thought was the best panel for boats based on their experience and the people they've talked with. Most of them got back to me with some sort of Renogy panel. Here is the Renogy 100 watt panel that boaters and RV folks seem to like most. It should be noted that this energy assessment of your solar needs is just the starting point. To really make sure you have the right set up, you need to perform a sort of 'solar shakedown' cruise. Go out and live on your boat for a bit and see if your panels are sufficient for your actual life. You may just find you need one more panel. 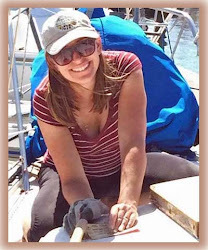 Speaking of which, Carolyn at the Boat Galley, wrote up a nice article detailing how your energy estimates need to be tested. Last year I wrote up this post describing the basics of installing a solar panel on a boat and connecting the panel to your DC circuit. Once you're ready to plan the install, this should help you get your head around the basic circuitry. In addition, I have recently become convinced that it also benefits the long distance cruiser to have an additional system to provide energy from the sun. I like the idea of a separate, portable lithium ion battery system that can maintain power on small electronic devices (phones, lap-tops, cameras). This compliments your DC battery bank solar system, but also functions as an emergency power supply. If, god forbid, a mishap were to occur, it is nice to know you could quickly grab a portable power supply that could be replenished by the sun. 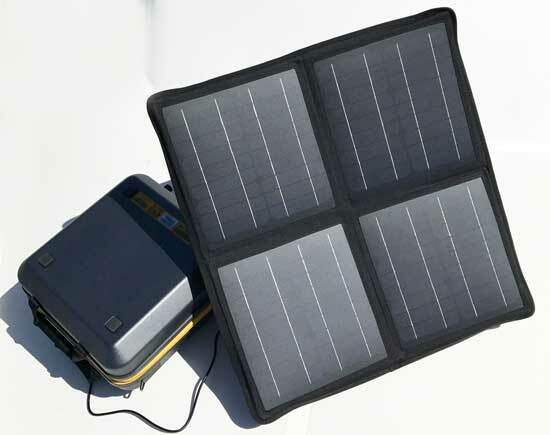 I have been researching the best options in terms of solar powered generators. To organize my thoughts on the subject, I wrote the following review of top solar generators on the market this year. There is a lot to consider: price, solar panel wattage, size of battery, weight of battery, output options, ext. I think it is best to find a unit that comes packaged with its own compatible solar panel array. I also think it is critical to find a unit with a 120 volt AC output. In a survival situation, you would likely benefit from a traditional 120 volt socket. Ok - best of luck and enjoy the free electricity from the sun! You'd be very lucky to get 100 Watts from a 100 Watt panel, especially over 5 hours in a day. The 100 Watts is the maximum under (effectively) lab conditions. It also requires a smart regulator. Of course if you're close to the equator, you will be closer to the theoretical lab conditions. agreed - partial shadows on the panel can knock the output down also - I went with theoretical conditions based on 5 hours/day of sunlight - and yes a good regulator helps.. Thanks for this post. You wrote it in a way that was much easier to understand the basics of figuring out how much solar you need then I have been able to find on most other sites!